for your moving and storage needs. to make it happen successfully. Use RJ Burton Relocation Services for your moving and storage needs. Discover how easy your move will be when you use RJ Burton Relocation Services for your moving and storage needs. RJ Burton has been in the Moving & Storage Industry since 1985. Whether you are moving down the street, across the country, or to a foreign nation you can rely on RJ Burton to bring forth all his knowledge and skills to provide an accurate and uncompromising assessment of your relocation project. 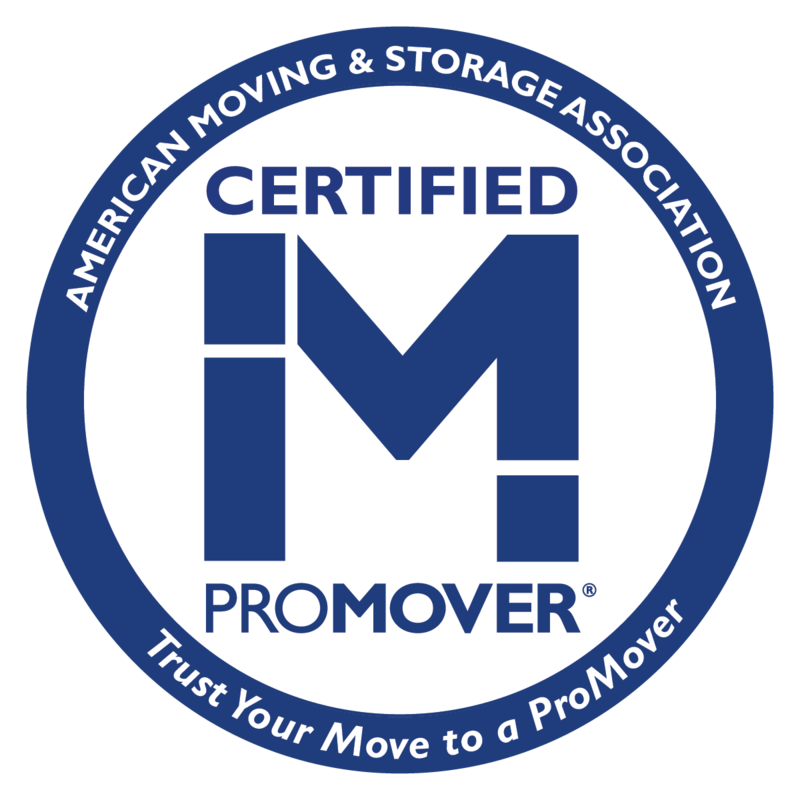 RJ Burton Relocation Services is recognized by the (AMSA) American Moving & Storage Association as a ProMover. This is your assurance you are working with an ethical, reliable, and reputable moving service. R.J. Burton is the right choice for your move. For most people, relocation means moving across town or across state lines. As the world economy became “global” in the 1960s, a challenge was presented to moving professionals to relocate an ever increasing number of families to and from overseas locations. The challenge was not in the distance. It was learning the skill sets required to safely prepare items for long transits. It was mastering the available methods and routes. It was aligning with partners all over the globe, and understanding the rules and regulations of foreign governments. An interstate move is any move that crosses state lines. This type of move is regulated by the U.S. Department of Transportation. When making a move, it is important to use state and interstate licensed movers because that will guarantee that the company you choose is also insured. 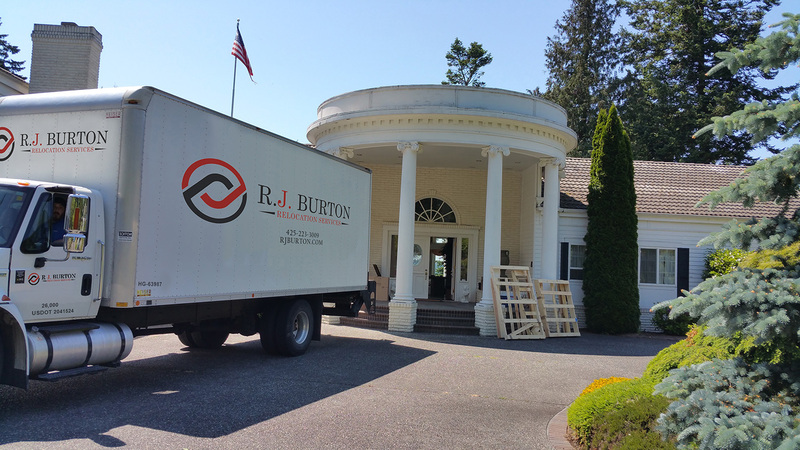 Planning, experience and resources of equipment and manpower provide R J Burton Relocation Services clients with a powerful edge when moving office and commercial facilities. R J Burton Relocation Services works with your project team to develop a plan that proactively addresses every phase of moving your commercial property. Whether you’re moving files overnight for next-day operations, or relocating hundreds of employees, R J Burton Relocation Services has the experience to help you plan and execute every detail with precision. A local move is any move that begins and ends within a radius of approximately 55 miles within Washington State. A move that is over 55 miles is called and intrastate move. All moves over 55 miles within the State of Washington are charged based on mileage and the weight of the shipment. Whether you need storage for one month or several years, R J Burton Relocation Services has the facilities to properly protect your possessions. Your goods are readily accessible with our efficient inventory system. You have access to your items where you want them, when you want them. I've been after my son Edington to respond to you for some time now. However, the younger generation lose the sense of priority on certain issues. Therefore, I take it upon myself to tell you that the shipment of his goods from Seattle to England came off without a hitch and he is extremely pleased with your services. All household goods arrived with nothing broken/damaged or missing. The dood-to-door service went as planned and now his problem is what is he going to do with all these extra things (living space in UK is much smaller than in the USA). Once again, we salute you for a job well done and thank you for making a difficult move easy. Your guys were sensational! They worked so hard and were great to be around. I enjoyed them as they were cheerful and interested in doing the job well. Thank you for your prompt professional services yesterday. Everything went perfect. Your staff were respectful of the situation and very accommodating. We trust you and that trust has been earned, so congratulations and thank you for taking such good care of our things! What a smooth move your crew provided us yesterday. The movers were on time and showed respect and courtesy to us and the items they were relocating. I would recommend your service to others based on our experience yesterday. Your men did a great job. They were polite, hard working and professional. They seemed happy with their employment- just nice guys! Thank you, I will know more soon on the final move.